For some reason, I stopped my morning cereal routine. Lowering carbs could be part of it, at least the wheat variety. But my morning smoothies can be pretty high carb too with all that fruit. Another part could be the portability of a smoothy. It is very easy to put in my “to go” cup and drink in transit! Whatever the reason (my love affair with Vitamix perhaps? ), most of my mornings start with a smoothy. It should be noted that not all smoothies are created equal. I’ve seen recipes that call for fruit juices, flavored (more sugar) yogurt, and ice. Well, that’s just a drinkable soft serve if you ask me! In reality, you can adjust to much less sugar and pack in more protein, even add healthy fats if you need them. 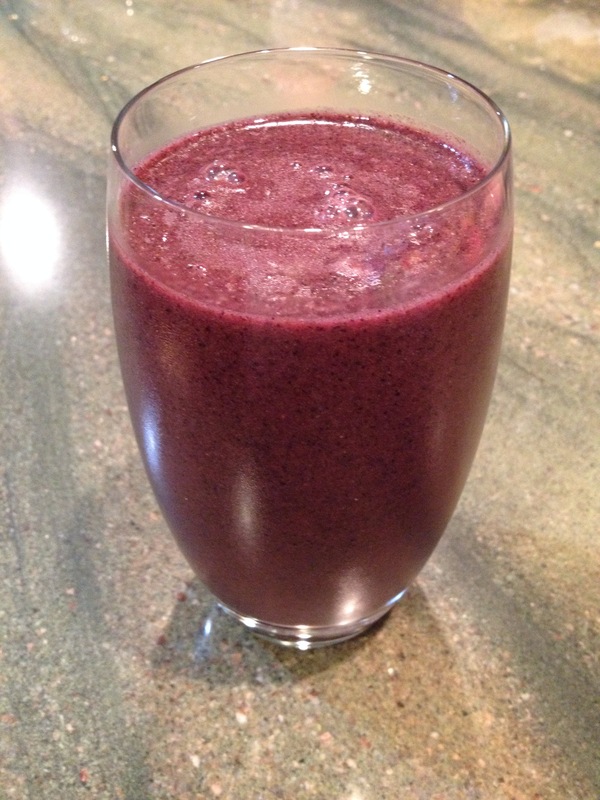 The recipe I offer today has vegetable, fruit and protein! Not to mention probiotics! One “rule” for overall sugar reduction is at least one whole, fresh fruit. While frozen fruit is easy to pour out of the bag, it suffers in flavor compared to its fresh counterpart. The liquid is my own homemade Kombucha, which gives you the probiotics. My protein if choice is hemp powder (non-GMO). I got off the soy bandwagon when I found out more about soy production. You can choose the green vegetable – I happen to have broccoli in my freezer today, but I have used spinach or kale. My nod to antioxidants is the addition of blueberries. Add all to your blender and whir!! Think of all the wonderful vitamins and nutrients, fiber and protein!! Hey there! 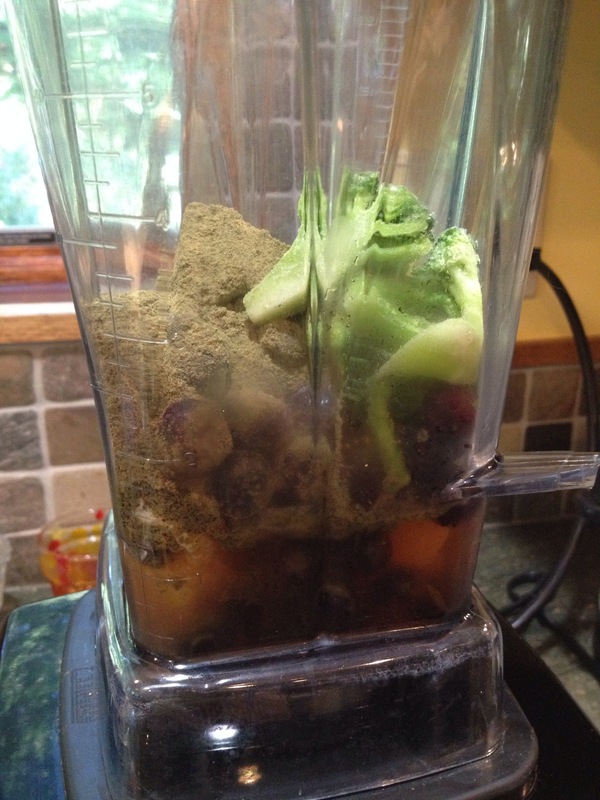 I too have a smoothie every weekday morning and I LOVE the way the vitamix grinds up the veggies so you don’t know they are there. I usually use greens (spinach, kale, swiss chard, turnip greens) Does the broccoli add too much flavor? I use my homemade plain yogurt for my base but I’d love to know how you make your kombucha. I don’t find much flavor from the broccoli – particularly because it’s frozen (I think they lose flavor). Check out Sam’s post on making Kombucha! If you want a scoby, let me know (I have plenty!! ).